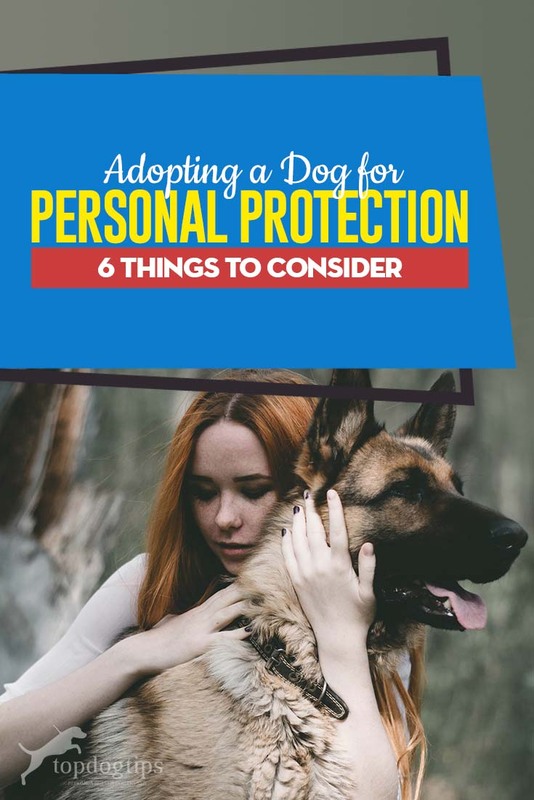 Adopting a dog for your own protection or your home is not uncommon, but it's also not that simple. Because of people's tendency to adopt a specific type of stronger and genetically more aggressive breeds, these dogs can sometimes be a danger to themselves, other humans and animals if they aren’t raised, trained and socialized properly. It's particularly important to careful about the adoption and training process for someone who may not handle a big, strong, potentially aggressive dog. For example, if you're a woman of small complexion looking to get a canine companion for personal protection, prepare yourself well in advance, know what to expect and be sure you can handle the dog with verbal commands alone. People who are blind or deaf are more likely to fall victim to intruders too. A person who is blind may have a heightened sense of hearing, and might be able to tell if someone enters their home but there's no way of knowing if the individual has a weapon, or how close they might be in proximity. A guard dog is not only able to warn you with a bark or a growl, but they’re also able to defend you should the burglar make a move. Have you ever seen a news video of a cop pursuing a suspect with a K-9 police dog, and the K-9 finally catches up? Here's one. In most such cases, this is the point where the suspect either gives in out of fear, or – as in the video – ends up with an arm locked in the jaws of a German Shepherd. As you can see, if the dog is trained properly, he’ll let go upon command. Sometimes, this is what might be expected from your “canine guardian.” But, because it's unlikely it'll be a police-like trained dog, there have been instances where the protective dog does not let go of the arm or the leg, staying locked in and even mauling it, severely injuring the person. An incident like this could lead to charges filed, along with the euthanization of the dog on the grounds that they are a threat to others, which isn't necessarily inaccurate if the animal does not follow commands at all times. Not every canine is going to make a great guard dog, even if they’re the “correct” breed. While you technically can go to the local animal shelter to find your future companion, this probably is one of those cases where it's not always the best place for adopting a dog. That said, it's still possible to adopt a great protection dog from an animal shelter provided you do enough research and get the help of the staff, to whom you need to explain your specific reason for adoption. Dobermans, for example, despite how they might be portrayed in movies, are a gentle, relaxed breed that are quick to respond to command. They’re known to have a tender approach when it comes to small, rambunctious children, and are usually easy going around adults they’re familiarized with. Yet, they're also a very clever breed that are apt at this type of job. No matter where they are in their training, sit and stay should always receive the most emphasis with your guard dog. It's the foundation of your control over the animal. If they’re unable to follow these basic rules, they won’t be able to safely keep intruders at bay. Dogs who are adjusted to these commands are also more likely to give way to people that you do want to come over and spend the evening with you. Remember that canines are social creatures and people-pleasers. All your pup wants is to know that you’re happy and that they’re doing a good job. You want them to know the difference between someone who is trying to break in versus a friendly neighbor coming over to have lunch. So keep socialization and training skills sharp at all times – both yours and your dog's. Next articleWhat Is a Dog’s Normal Temperature?